How Do I Use the Hiring Tool? 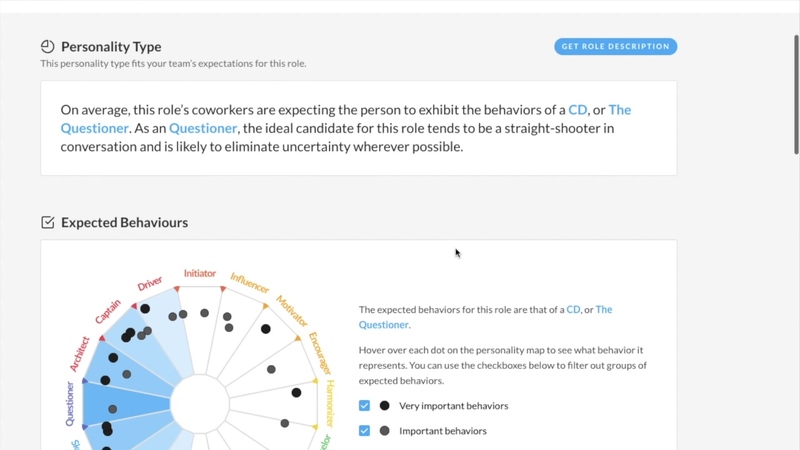 The Hiring tool allows you to create a role to understand the ideal personality fit for each open position and identify candidates who are most likely to thrive in the position. 1. Go here and create a new role. 2. Fill out the Role Expectations survey. This survey allows people close to the role like a Hiring Manager, Recruiter, or Manager to understand what behavioral tendencies they are looking for in this role. 3. You can invite more co-workers to take the survey. 4. Add Candidates to the role. Candidates can be invited here to take the personality test or can be added from your People page. 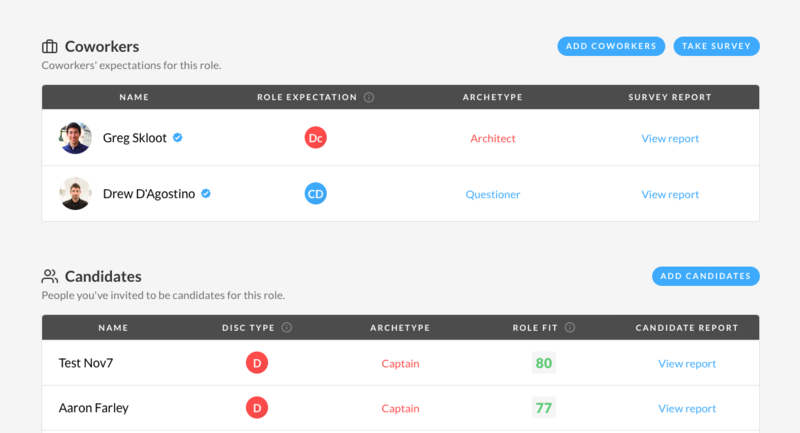 See how Candidates compare to expectations of the role, including a Role Fit Score and gain insight on team dynamics. If you're interested in learning more about Hiring, please email hello@crystalknows.com to schedule a full demo!